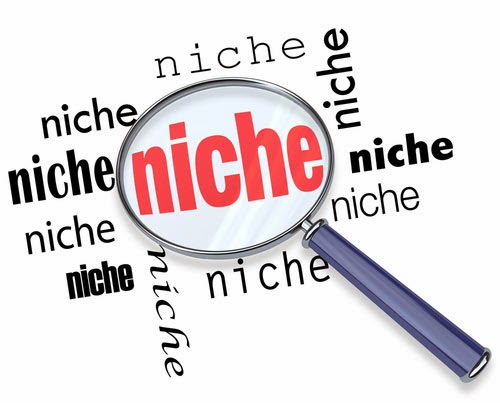 Niche market is a highly specialized market segment but it is still profitable. In the digital era just like now, of course it’s easy for us to obtain the information we need either from the internet, TV, radio, magazines, or other media. For the record, information from different media is not all that suitable to your needs. 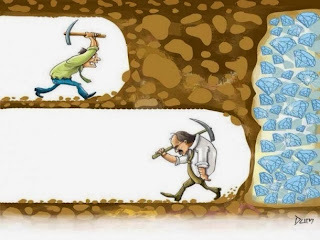 Even sometimes you waste the time with useless thing to find such great information that suits your needs. In the internet business (online business), a niche market has tremendous influence in product sales because when someone wants to sell a product, they should know the target market that should be chosen where it gives such large potential prospective buyers. For the beginners who are just starting to make money online, most likely they will have difficulty in choosing the right niche market for their business. 1. Consider that visitors have a tendency to seek information from those who are experts in their fields because the information that is presented certainly is the complete one and useful. Therefore, the niche market would allow the visitors to select the information according to their needs. 2. Creating a niche market based on experience. Choose an online business based on the talents, interests, knowledge and experience that you have. This method will show the easier way for you to manage and run the business. As you have a very good knowledge in the health field, just make a blog about health with popular niche like “diet tips”, “healthy food” or “healthy living tips”. 3. Choose a targeted niche market. After choosing a niche market, you should also think about other things whether the niche market is too broad or too general. Make a more specific niche market to target and attract buyers. A popular niche does not always make much money since a very popular niche means you will face more competitors. You need to prepare yourself if you want to install a popular niche. But you also have to remember that the less desirable niche will make people think that the business is not profitable. To determine whether the niche market is sufficiently competitive or not, you can try to look it up on Google and pay attention to the right hand column of your search results. If in the right column there is a lot of advertising, the word you’re looking for is a competitive niche. In addition there are many keyword search tools that can be used to search for potential business opportunities and keyword. Some of them are paid services, but many of them are free. 4. Regularly make a qualified article on your blog. Your consistency will determine the viability of your business. The article is a summary of the topics for your niche market. You can also recycle your article includes a link to a niche market and other articles as you think that it is the qualified one. In addition, the article contains the opinions of a person’s experience containing a niche market, may increase the loyalty of business visitors. There are many niches and sub niches that offer advantages. Having a good understanding and knowledge of the niche market is the basic thing for building an online business. Without that information, people who run the online businesses may hard to gain the profit from such efforts and they just do the useless thing. A website or blog must contain one or more niche. The more niche is the better. By knowing the niche market and understanding how to choose a good niche for you, making money through a blog or website that you create is an easy thing because the target market is more clear and specific.